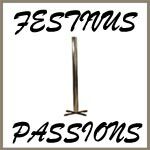 The Festivus Pole I don't believe this site really exists haha. Look me up on nerd passions I suppose. Does ctec9out belong in this group? festivus pole needed =D love it! COSTANZA!